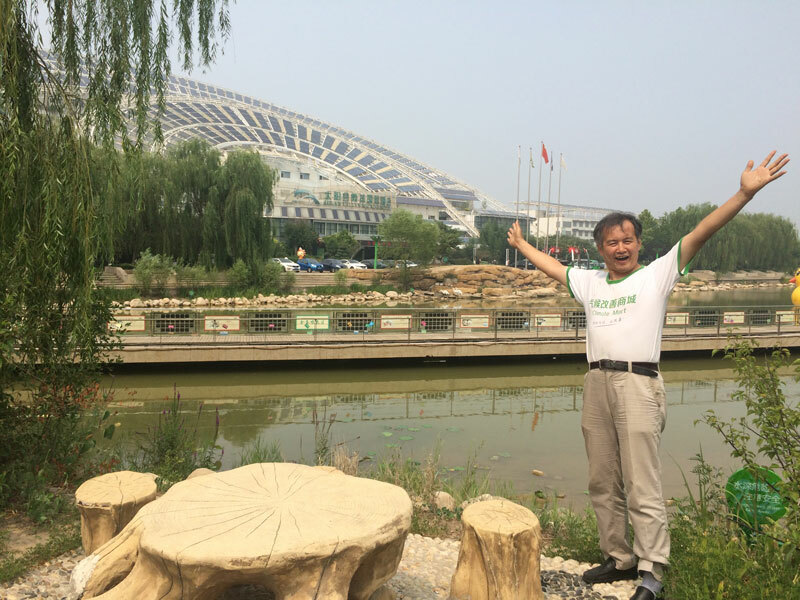 Solar Valley China | Global Business Developer – Ambassador – Co–Dreamer – I Am Honored To Introduce You To Huang Ming And The Solar Valley. My name is Dame Doria (DC) Cordova and I am honored to introduce you to Huang Ming and the Solar Valley. Not a usual phrase used in China… It wasn’t until I met him that I really got the essence of what Willson meant. Huang Ming turned out to be an extraordinary man that is truly a “soul mate” on our journey to adding value to as many people as possible. My work for nearly four decades has been in experiential, entrepreneurial education. 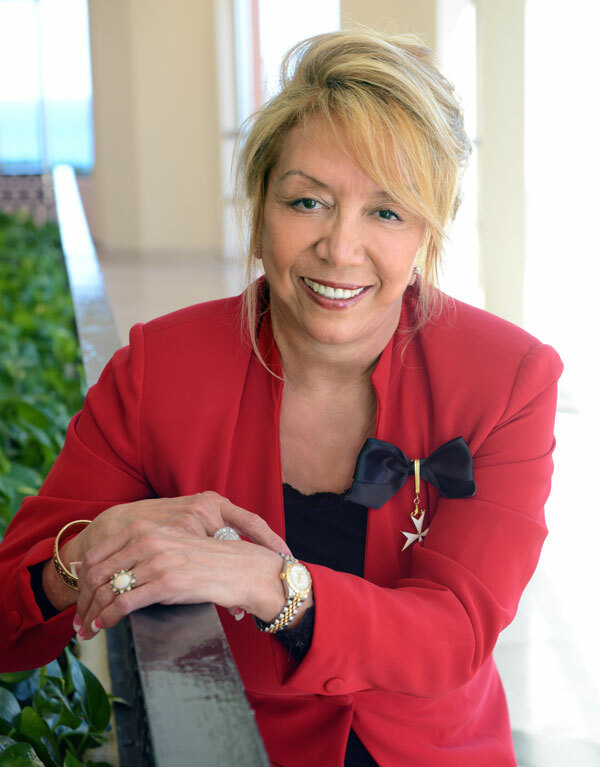 I have had the opportunity to meet extraordinary entrepreneurs, billionaires that are not only committed to bottom line profits, they also contribute tremendously to the betterment of humanity. We had the opportunity to have had the great visionary R. Buckminster Fuller teach at our business schools yearly for six years before his passing in 1983. I have met world leaders, including Fidel Castro, and have had the opportunity to work alongside geniuses… but I had never met such an extraordinary human being as Huang Ming. His genius, commitment, humbleness and purity of Spirit in getting the world to become completely green — to support every “sustainability entrepreneur”anywhere in the world, is one of the most moving and transformational experiences of my life. Some of the humanitarian projects that we are currently developing for emerging nations: simple solar cookers http://www.solarvalleychina.com/solar-cookers ; zero-energy toilets for extreme cold weather regions; transferring (and new building) of coal-based heating to solar-heating for schools. We’d like to have your information so that as we continue to expand his work, we will keep you posted of the developments. For those of you who are just starting to learn about renewables — or you are looking for a new career — or you are interested in getting into one of the most exciting industries in the world, we can let you know of the possible different opportunities and information that can be of value to you. I am so happy for you that you are interested! Global Excellerated Business School for Entrepreneurs… an extension of the International Micro-Emissions University, Solar Valley, China. For any further inquiries, send us an e-mail to: info@solarvalley.com Thank YOU! Chairman of Himin Solar Co., Ltd. & Chairman of HIMIN Clean Energy Holdings Co., Ltd. I have a dream of people devoted to renewable energy sources around the world. For blue skies and white clouds for the next generation. That truly quality products can be used to realize renewable energy substitution. I have a dream that one day throughout the whole world, renewable energy sources will achieve a dominant position in the world. I have a dream that one day all the people in my country, and that all global citizens will know about solar energy alternatives and make full use of them. I have a dream that one day the solar industry will be as advanced as the IT industry, and as mature as the electric home appliances industry, and as large-scaled and automated as the automobile industry. I have a dream that one day the sky will be much bluer, the water will be more cleaner and clear; that our homeland will be full of sunshine, be peaceful, with no wars. I have a dream that one day the next generations will chase each other happily in the bright sunshine and fragrance of beautiful flowers, that a green civilization will be spread to every inch of the Earth. My fellow citizens let us join together, to create the blue sky and white clouds for the next generations, making use of truly quality products to realize renewable energy substitution. -First Chinese entrepreneur to be invited to speak twice at the U.N.
-Praised as founder of the “Chinese solar energy industry” by international renewable energy sector..
-In September 2008, successfully elected as Vice-Chairman of the International Solar Energy Society. -First Chinese leader of the International Renewable Energy Authoritative Academic Institute. -In September 2010, on the Fourth International Solar Cities Congress, Huang Ming introduced the “micro-emission earth strategy” to cope with two major global problems: energy and the environment. -Based on his contributions in the field of renewable energy, in March 2007, he was awarded the “China Renewable Energy Award for Outstanding Contribution” by the World Wildlife Federation. -In 2011, he received the highly prestigious “Right Livelihood Award” in Switzerland. This was the first time that a Chinese entrepreneur has ever won the award. Having created the world’s leading renewable energy, science and technology R & D facilities, HIMIN has built two major micro-emission and low-carbon sample demonstration projects: HIMIN Solar Valley – the global urban example for the next 50 years; and Solar Utopia Garden — the global human habitation example for the next 30 years. During the fourth session of the International Solar Cities Congress in 2010, HIMIN introduced the new concept of “Micro-Emission Earth” regarding energy saving and emission reduction, which will solve the two major global problems: energy and the environment, gaining the recognition and gratitude of all nations. Himin Solar Co., Ltd is a global leader in the solar industry. The Himin brand was presented with the honor of being a “Famous Trademark” in China and China’s “Environmental Label Product”. Its main business includes: renewable energy products such as solar BBQs, solar heaters, PV power and lighting, solar energy solutions seemlessly integrated with architecture, high temperature solar thermal power, Wenping energy-saving glass, solar air-conditioning, and large scale seawater desalination. At present, Himin has 623 national patents; has undertaken and is participating in 22 Chinese national projects simultaneously, to include the national “863” project, the national science and technology research program, the state “torch plan” and many others. Himin owns core technologies such as: interference coating, solar thermal power generation and sea water desalination solutions. In 2009, Himin proposed a world leading solar technology: Solar 3G which includes many functions such as: adequate hot water, 24-hours supply with all-year-round hot water, and realized creation of a fully-automated solar system which has completely overturned conventional solar systems. Moreover Himin combines solar hot water supply with solar heating and cooling at its optimum, leading the world solar industry into a new era. Normally, commerce is treated as being in opposition to environmental protection. The Himin Solar Valley created by Himin Corporation has developed a new approach where commerce and environment coexist harmoniously. It’s a win-win proposition for the environment, industries, and marketing. Himin completed its industrialized growth in about ten years, while Western countries took 60 to 100 years. Himin is pursuing solutions for global energy substitution to become the standard for sustainable development in renewable energy worldwide. In May, 2006, Himin was invited by U.N. headquarters to introduce the Himin model to more than 100 member states. 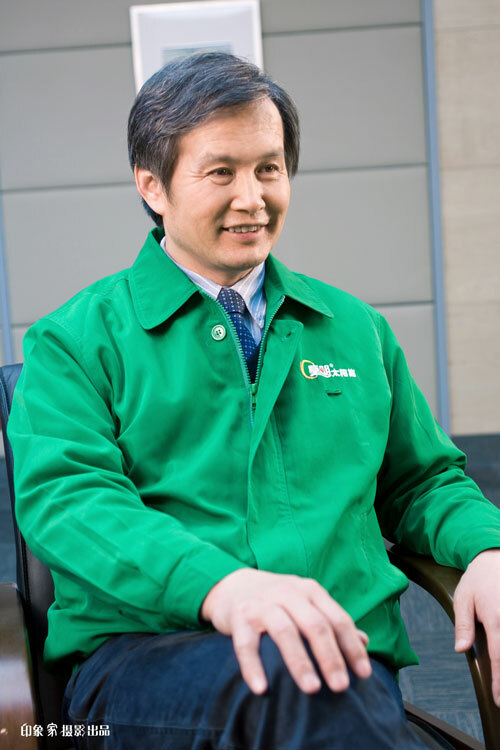 Because the Himin model provides the world with a great example and model for renewable energy development, in September, 2008, Huang Ming was elected vice president of ISES and became the first Chinese person to assume the leadership of this world famous renewable energy academic institution. Himin has attracted great interest from international organizations, and has won the recognition, respect and positive mention of world leaders and global experts in renewable energy to include U.S. President Barack Obama, Swedish Prime Minister Fredrik Reinfeldt, German Chancellor Angela Merkel, former president of the International Solar Energy Society (ISES) Monica Oliphan, and the President of the European Union. More than 50 international media agencies have reported on the positive contributions that Himin has made to society, to include: CNN, Reuters, ZDF and Business Week. This reporting has improved China’s negative reputation in energy and environmental issues; and it has turned Himin into a respected international brand that has brought it major business from around the globe. Himin’s solar testing center was set up in October 1997. Today 20 Himin laboratories test more than 1000 items from raw materials to whole units. In January 2009, Himin’s testing center passed the CNAS certification and was recognized by the government. It is now considered the national authority testing institute, and it’s reporting has been recognized by 45 trading countries to include the U.S., Australia, UK, Japan, Germany and others.